Dr. Nargis Murshida Banu is a Professional consultant in the field of Gynae Obstetrics, with a professional experience of 35 years. She emerged as a medical professional in the year 1979, when she passed her MBBS from Mymensingh Medical College. Since her inception as a Doctor, Dr. Nargis, MCPS (OBS and Gynae)from BCPS in the year 1997. 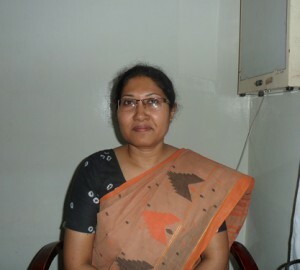 Furthermore, she successfully completed her DGO (in OBS and Gynae) from Dhaka University in the year 1998. Prior to joining Samorita Hospital Limited as a professional consultant, Dr. Nargis worked as a consultant in Gynae and obstetrics in Dhaka Medical College Hospital, Central Police hospital and Azimpur maternity Hospital. Currently, she is working as an associate professor and Senior Consultant of Gynae obstetrics in National Health care network of BIRDEM. Dr. Nargis Murshida Banu has conducted multiple free health camp in Jhikorgacha, Jessore for the welfare of the poor people of our country.